Ortom stated that even if there were such routes before, he had removed them from the gazette because the current population of the state had made such routes unnecessary. He spoke at the NKST Church, Buruku, while interacting with the officials of the Christian Association of Nigeria as part of activities preceding his re-election campaign in the local government area. The governor was reacting to comments allegedly made by President Muhammadu Buhari during a live programme titled, “Meet the Candidates” aired by the Nigerian Television Authority where Buhari spoke about the issue of cattle routes in Benue State. Ortom said the President’s overall performance was shameful and a confirmation of what his wife stated that Buhari had lost control of the government to a cabal. The governor stated that at the time such routes were contemplated in the 1960s, the entire population of the country was about 40 million, while the current population is now about 200 million, thereby foreclosing the possibility of such routes. He stated that he battled and overcame financial and social vices as well as security challenges during his first term which impacted negatively on his performance. The governor added that if given a second term his administration would be better than his rough beginning. 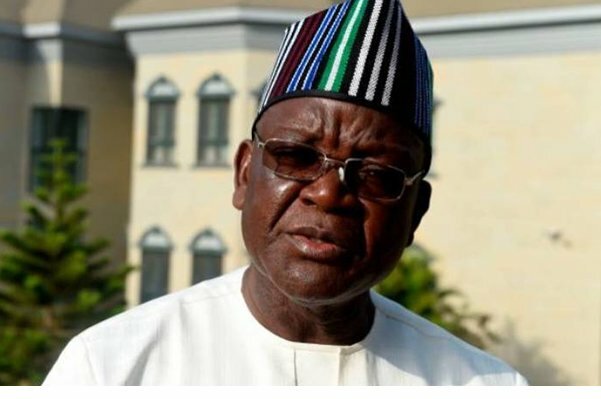 Ortom stated that the Federal Government failed to forestall attacks on the state by Jihadists, who, he said, openly declared their conquest and occupation agenda of the state. The Federal Government under Buhari, he said, failed to give Benue people justice when they demanded it. “This development coupled with the deliberate neglect of Benue people by not giving them strategic positions in government prompted me to seek an alternative platform on which to pursue my re-election bid. “I appeal to the people to seize the opportunity of the general elections this year to vote for all the candidates of the Peoples Democratic Party who will protect their interests and guarantee their survival,” Ortom stated.